Gloria “Tina” Jones was the daughter of the late Maxcy Lee Jones and Alice James Jones. She was born September 3,1956 and entered eternal rest on February 4, 2019. She graduated from Lake View High School in 1975 and served as a certified nursing assistant at Sunny Acres nursing home for 20 years. She is preceded in death by her father Maxcy Lee Jones, and mother Alice James Jones, and nephew Bryan Donte Waters. For most of her life, Tina resided in Lake View, SC. Tina loved the LORD and her family. She gave her life to the LORD in 1991 under the leadership of Pastor Roundtree. Tina was the foundation and joy of her family. Although she faced many illnesses, she never stopped imprinting joy, love, and wisdom into everyone she encountered. Tina wanted her family to be there for one another, through her example that’s the legacy that she imparted. Tina’s life was so vibrant that she attracted everyone with her radiant smile, and her enduring heart. Tina was the glue that bonded her brother, sisters, nieces, and nephews. Her relationship with each one was special and unique, and she was the cornerstone of their strength. Life will be difficult without Tina’s physical presence, but to be absent from the body is to be present with the LORD. She has left a legacy of love, strength, and memories in the hearts of all that she has touched. 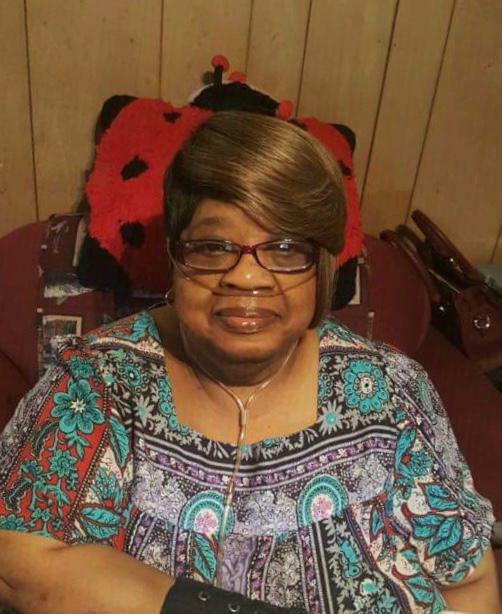 She leaves to cherish her five siblings Robert Jones of Lake View, SC; Thomasine Waters (Donald) of Lake View, SC; Carlotta Jones of Lake View, SC; Lori Ann Davis of Nichols SC; Shirley J. Burroughs (Hoyt) of Gastonia, NC. An aunt Elizabeth Bethea of Dillion, SC; an uncle Reverend James Bethea (Ethel) of Patterson, New Jersey. Her god-daughter Brandy Foxworth of Lake View, SC. Two special friends Lynette Coleman of Lake View, SC; and Dorothy Isabell of Dillion, SC. She also leaves behind 10 nieces and nephews, and a host of great-nieces and great-nephews that she dearly loved.